This is a challenge that I have been looking forward too! I have been wanting to try the newspaper technique since I first saw it. But I was a little worried about how it would turn out because some ladies have had trouble getting the newspaper to transfer to their nails. In the end I just decided to go for it. First, I applied 2 coats of Zoya Elodie. I picked this beauty up when Zoya was having it's free polish promo in April. In the bottle Elodie is a gorgeous coral cream. However, once on my nails it seemed to take on an orange tone. It is also a nice bright polish, perfect for summer. For some reason I had bubbles develop, which was kind of annoying. Also, it wasn't as opaque as Zoya claims. I still had VNL after 2 coats. Natural lighting, however, it was difficult to capture the brightness and true tone with my camera. Next, I added my newsprint. I read that it works better if you use a current paper, maybe because the print (ink) is fresh. I cut out my squares, soaked them in 91% Isopropyl Alcohol and placed them one at a time on my nails. The transfer was amazing! In fact it transferred quite quickly and the ink was nice and dark! I didn't want to do a plain newspaper transfer, but something different. My goal was to create an antique finish with some scroll work. I did want to try a frame but that didn't turn out the way I wanted. For the scroll work I used BM02 and Zoya Zuza and Carly. I liked the idea of having a bit of shimmer to the scroll. The following pictures were taken indoors in natural light. I love how the lighting turned out in the first picture. It really added dimension to the design. And this is my failed frame. I used Zoya Wednesday and a striping brush. It just wasn't what I wanted. I really like the "antique" look of this design. I was worried about the orange-y look of Elodie, but I think it adds something different to the design. I only have one more challenge left in this series. It's a design of my choice and I'm having a tough time deciding what to do???? Any suggestions? I love the idea of the scroll! 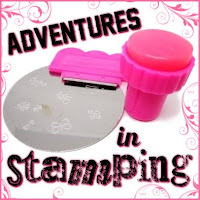 you've been doing some great stamping lately! 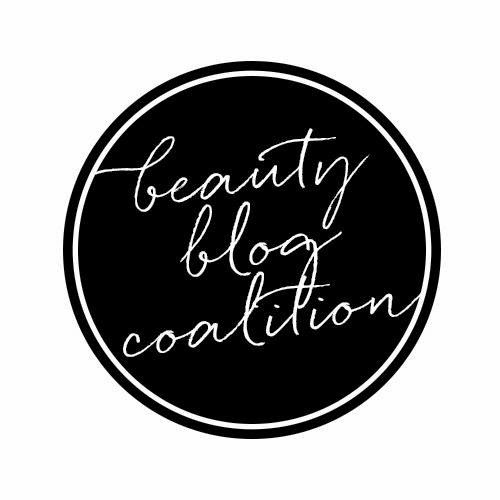 can you make your watermark smaller/less opaque? it makes it hard to see the details. thanks. My watermark is like that because I have had photos stolen and the watermark removed. Having it this way makes it harder to remove from the picture. So yes I does cover up some of the design but it lessen the chance of someone stealing my pictures again. First of all: Shame on people who steal other people's pictures! Second: I like this! I especially like that you chose and orang-y colour as a base instead of plain grey. Cool! Love this :) it's soo different and I love that you stamped over it too. I's still to try news paper nails. love the color you chose with the newsprint! Very nice! I must get some stamps! Wow your newspaper nails showed up so well!! This is so pretty. You took newspaper nails to a whole new, and gorgeous, place!